The instructions for assembling were clear and easy; I had trouble squeezing in all of the plates so I may have missed a round or two in the middle. Using June's guide for invisible seaming, the plates look as if they've grown naturally from the stegosaurus's body. 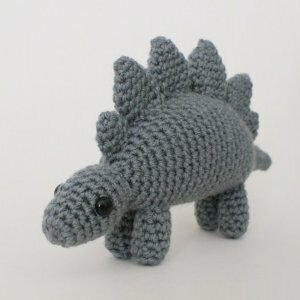 A sweet addition to my growing dinosaur set.